ALWAYS BE YOURSELF. UNLESS YOU CAN BE FRANCES MCDORMAND . 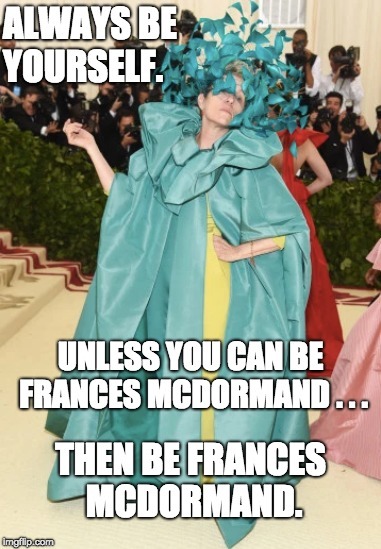 . . THEN BE FRANCES MCDORMAND.